Red-G Capsule is created with puffing processed Korean red ginseng. It uses special processing technique to create a high density condensed powder in capsule form to allow ease of consumption for its full nutritional effects. Red-G Capsule contains 20%~180% more Ginsenoside Rb1, Rb2, Rg1, than other regular red ginseng products. (Patent no: 0325778) What is Puffing Korean red ginseng? As the word implies it means puffed up like popcorns. 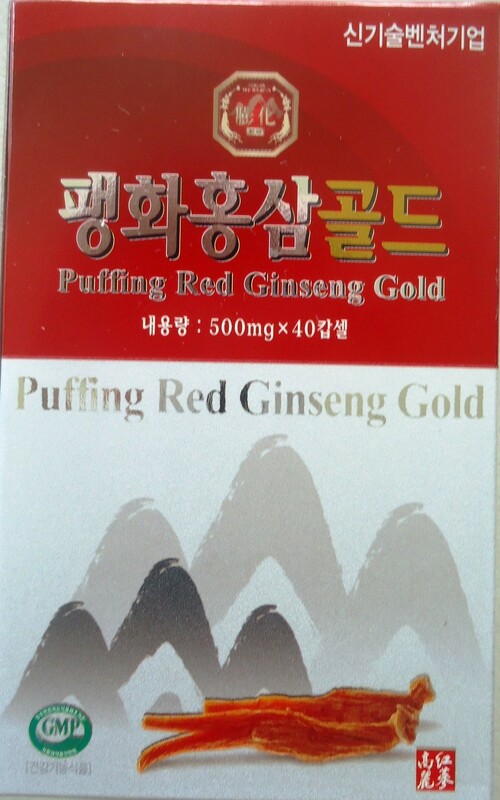 Puffing Korean red ginseng reduces the bitter taste of ginseng and removes the smell of earth. Puffing ginseng shows improvement in pepsin and rumen-fermentation digestion. Twice daily, 2 capsules per day, take with water.